For adding custom UTMs, first add the below code to the top most section in the email's Scripting > Setup area (located under Details and then scroll towards the bottom). 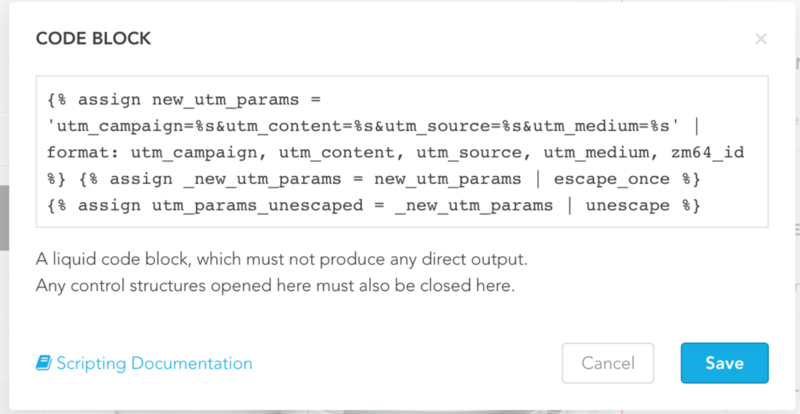 Then, under the variables section at the bottom of the email, add utm_campaign, utm_source, utm_medium, etc. and then add in your custom values. **the liquid portion of this snippet should be modified to correctly pull in your images.